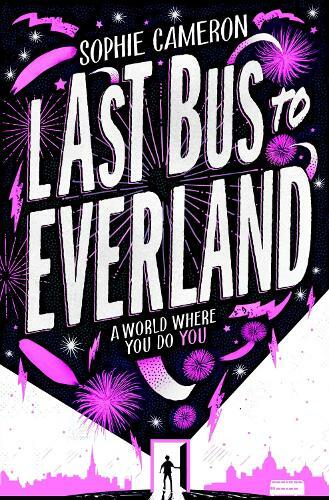 Last Bus to Everland is Sophie Cameron's gorgeous follow up to her acclaimed debut Out of the Blue, introducing Everland: an addictive magical place where you do you. Brody Fair has had enough of real life. Enough of the bullies on his block, of being second best to his genius brother, and of not fitting in at school or at home. Then one day he meets Nico. Colourful, confident and flamboyant, he promises to take Brody to Everland, a diverse magical place. A place where he can be himself, where there are no rules, time doesn't pass, and the party never ends. The only catch? It's a place so good, you could lose yourself and forget what's real.